We've left the backboard off to let players shoot from all sides. 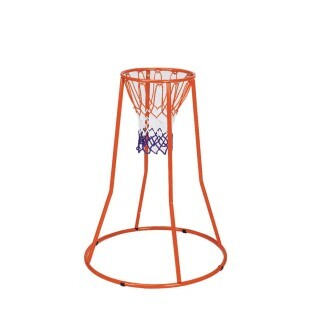 4'-high basketball goal with official size 18"-diameter rim is constructed of durable steel. Use two goals to let juniors build their basketball skills. We've left the backboard off to let players shoot from all sides! 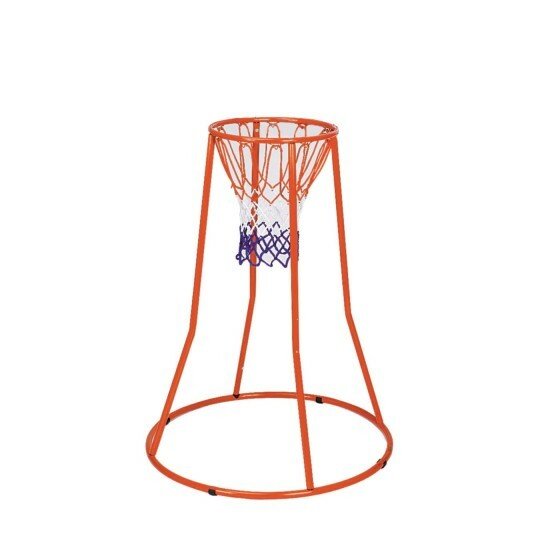 This 4'-high basketball goal with official size 18"-diameter rim is constructed of durable steel. Use two goals to let juniors build their basketball skills. Color may vary. When bought this product for our adapted pe program but found we use it for all our students in a variety of ways. Great product for all ages! Our residents have a blast playing basketball in or outdoors! My students love to use this hoop! Great for those who do not have gym space. We are currently in a large hallway and even the middle schoolers love this one! We live in western Washington so I am always looking for energy busting indoor activities. All three of my children under 6 love playing with this - even my two year old! I recommend this to anyone with preschool children.